According to a report published by the data science team of Crypto Integrity, 88% of crypto trading volume in February 2019 is allegedly inflated. This indicates fake trading volume through wash trading is a big concern in the crypto space. At the end of the day, legitimate investors are the ones suffering as a result of this market manipulation. Traders should know about this malpractice and how fair and trusted platforms like AAX eliminates this manipulative behaviour. 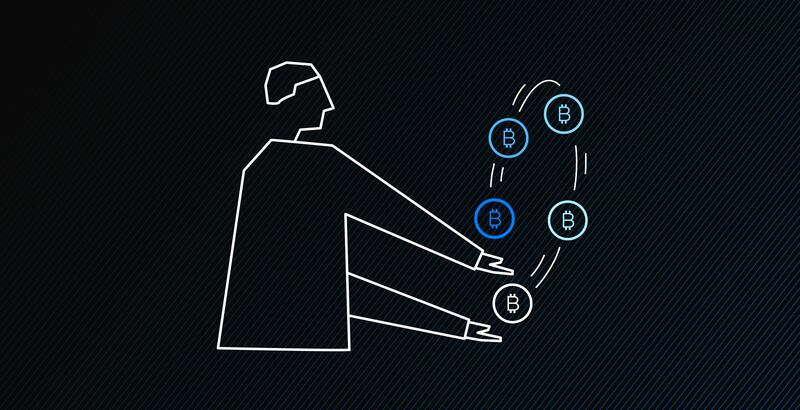 Wash trading refers to the manipulative behaviour where trades happen without a change in beneficial ownership with the intention of misleading the market. In the crypto space, exchange operators and ICO owners are the main offenders of wash trading. 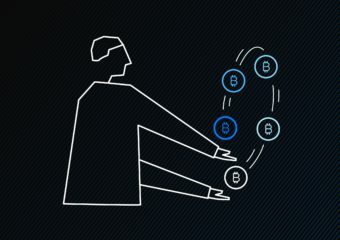 Many traders perceive exchanges with high trading volume to have deep liquidity so dishonest exchanges use fake trading volumes to make the platform more appealing to investors. A larger trade volume also means a higher ranking for the exchange on rating platforms such as CoinMarketCap. Having a higher ranking allows exchanges to charge a higher listing fees for tokens and traders also perceive exchanges with a high ranking to be a preferred trading venue. Since platforms like CoinMarketCap rank cryptocurrencies by trading volume, some ICO owners would try to fake trading volumes to move up the ranks to make the asset more appealing than it appears to be. The high ranking misleads legitimate investors into believing it is a good time to invest in the asset. If the price of the asset rises as a result of more investors buying the asset, the ICO owners will sell the asset for profit before it hits the peak. Informed speculators will begin to short sell the asset to bring down its price. Seeing the price of the asset is plunging, investors begin to panic sell the asset. After this point, speculators can cover their short positions at an extreme low price to realize their profits. Typical wash tradie would involve a trader systematically trading with himself. It can be done by the same member (cross-trading) or carried out by a group of members ( circular trading ). A trader can conduct cross-trading by simply setting up two accounts and making them trade with one another continuously. 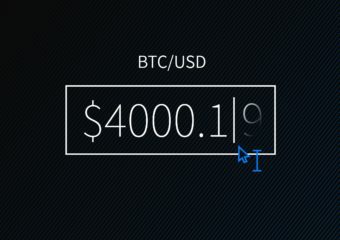 For example an investor has account A set to buy 10 BTC at $4000 and then also operates Account B to sell 10 BTC for $4,000 and once the trade settles they reverse roles and B sells back to A for virtually the same price. With the exception of fees, the overall overall amount spent by the colluding accounts is zero or near-zero. 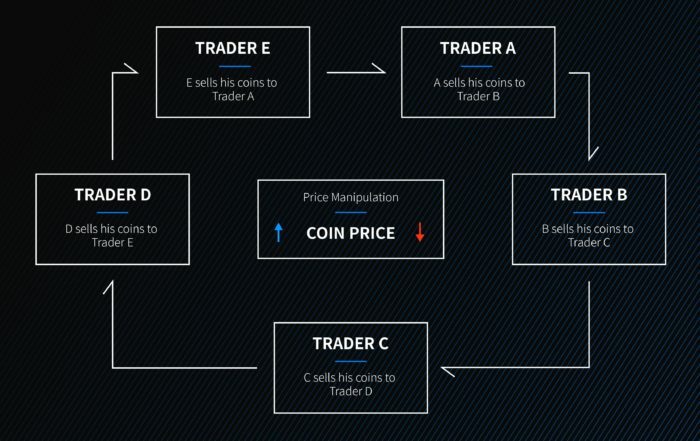 Circular trading involves the same principle but it will be a group of traders moves the assets among themselves. An effective solution to preventing the manipulative trading activities mentioned above is to implement market surveillance. AAX’s strategic partner LSEG Technology has many years of experience in dealing with manipulative behaviours and have established solutions to protect the market against them. AAX shares the same vision with LSEG Technology on preventing manipulative behaviours. The operations team of AAX provides robust real-time and historical market surveillance, similar to those found in traditional trading venues, to identify and stop suspicious trading patterns. The team checks for abusive, manipulative and illegal trading patterns on the platform and will proceed to capture and penalise such behaviour where necessary. 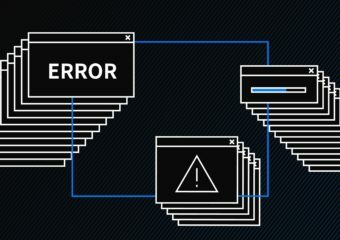 AAX is also working on our own liquidity analytics to monitor unusual trading patterns on our platform as well as other exchanges. Finally, be a savvy trader, make use of the various reports tracking manipulative behaviour on exchanges, do your due diligence before deciding where you want to put your money.